Originally from New York, my family and I have lived in the Raleigh area since 2000 and I began my Real Estate career here in 2003. I've not only relocated several times in my life, first as part of a military family growing up and then for my husband's job with IBM, but I've also remodeled several different homes and have a real vision for what a home can be transformed into. My skills and experience in this area have helped my Buyers understand what repairs may be necessary and what changes may be possible. On the Listing side, I enjoy helping my Sellers prepare their homes for sale. I provide staging and organizing advice to help get a property sold for the best possible price in the least amount of time. I also continually expand my Real Estate education and knowledge and have earned designations including Cartus Network Affinity Specialist, Eco Broker and Social Media Marketing Certification - all in order to best serve the needs of my clients. I'm active in my Home Owners Association as past Vice President, Social Chair and current Architectural Chair. I've also volunteered in the schools working with Gifted Children as well as those performing below grade level. I also enjoy introducing newcomers to the Triangle area where we have such a feeling of community across the region with a small-town feel but big-city events and things to do as well! 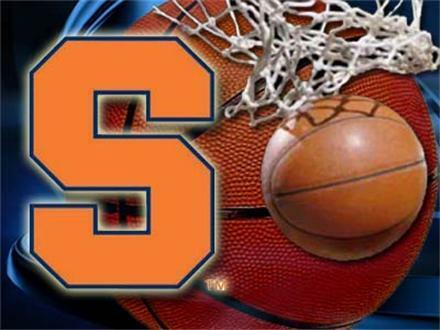 I love college basketball and this area has three great local teams to watch but I must admit, I'm a Syracuse University fan at heart! Louise was a delight to work with throughout our homebuying experience. She well-understood our requirements and did not show us a house that we were not interested in. Louise also provided strong insights into neighborhoods and locations and was an excellent guide to the area. Would recommend Louise in a heartbeat to anyone looking to buy a home in the Raleigh area. I have had many Realtors but none like Louise. I can not say enough about Louise's dedication, professionalism and her interest in helping. She not only paid attention to our requests when we were ready to settle on something that was not what we wanted she did not let us settle! Thank you for that Louise. Every time we visited a home with her my husband and I will laugh we loved they way she would walk in to a home and how she appreciated each property and highlighted its features. It was like she was entering this homes with so much love and admiration we knew since day one she loves what she does. We are truly thankful for Louise's efforts and how hard she worked to get us in a beautiful home. Thank you so much and God bless you! Louise helped us buy our first home. We relocated from VA to NC and she walked us through the entire process from start to finish. Louise really understood what we were looking for and made herself readily available. She answered all questions and kept us informed, which helped make the house search, mortgage application, and closing enjoyable and exciting, rather than stressful. We really enjoyed working with Louise and would highly recommend her to anyone. Louise had previously sold a home for us. Years later we wanted to move back to the neighborhood. Louise knew exactly what we were looking for and found us the perfect house. Recently, we needed to relocate once again and Louise listed our home. She took charge of the sale and made sure everything went along smoothly. She went above and beyond the duties of a realtor. We would highly recommend her.